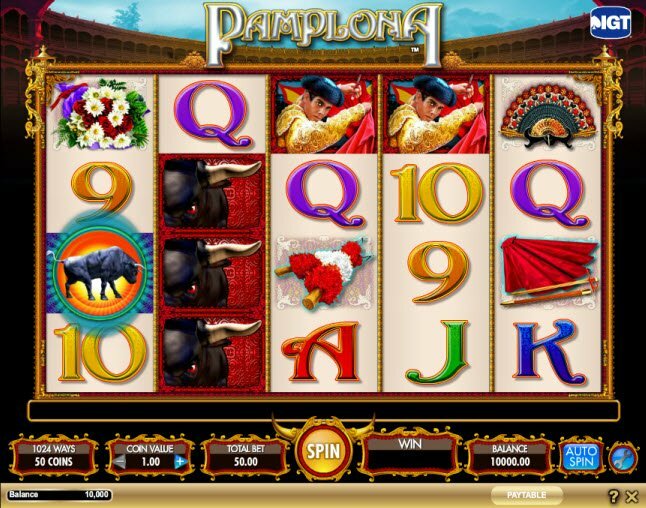 Brought to you by IGT gaming software Pamplona slot machine features 5 reels and 20 paylines. Spin the reels and enjoy the grace and prowess of the Matador as he taunts the bull in a dangerous and deadly dance. Meanwhile beautiful melodies of a Spanish guitar accompany the game. Here’s an online gaming experience you don’t want to miss! Images of colorful banderillas, Flamenco fans, flower bouquets, and fierce bulls blur across the reels as you are serenaded by a Spanish guitar. The graphic quality may not meet the standards of other slot games, but the overall atmosphere certainly makes up for that. Images of colorful banderillas, Flamenco fans, flower bouquets, and fierce bulls blur across the reels as you are serenaded by a Spanish guitar. 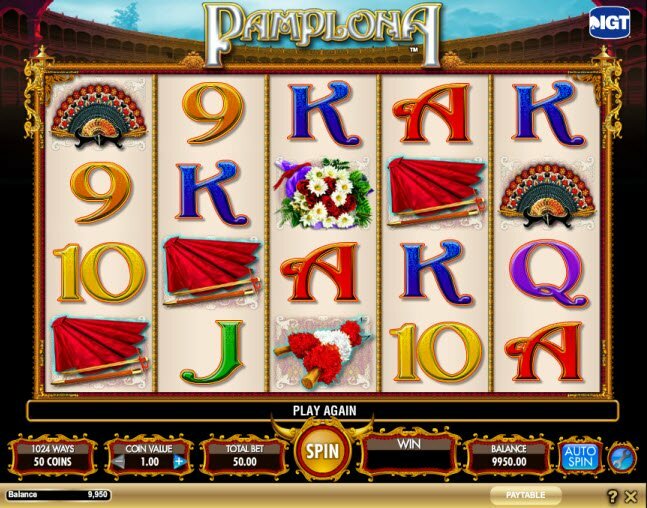 The Pamplona slot machine may not have all of the bells and whistles of some other games, but you can still bet on some exciting features. With luck, 3 or more of the bull symbols will appear on the reels, triggering the El Toro Bonus. The El Toro Bonus awards players with their choice of additional free spins. In addition, the Matador serves as the Wild Symbol and substitutes for all symbols except the bull. 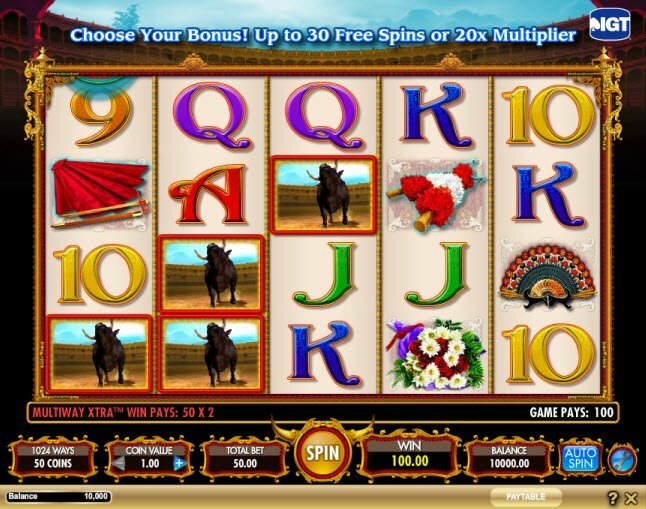 The MultiWay Extra is another Pamplona slot bonus feature which grants wins for the same symbol in any position on adjacent reels beginning with the leftmost win.